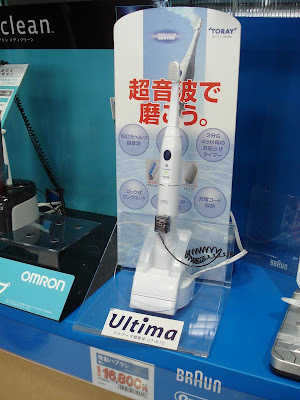 This blog is not defunct. I've just been too caught up with other things in life. Managed to go overseas 3 times in less than 5 months. 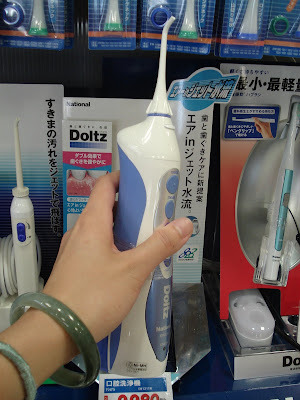 I was looking at some pics just now and realised what a hopeless dentist I am. 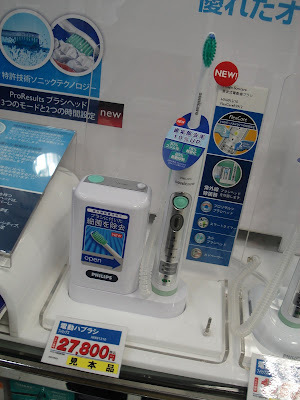 Even when I was on holiday and supposedly not to think about work I'd been checking out dental-related stuff. 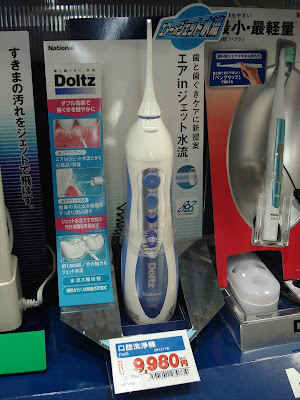 -_-"
Here, me checking out "high-tech" electric toothbrush in Takashimaya, Tokyo, Japan. 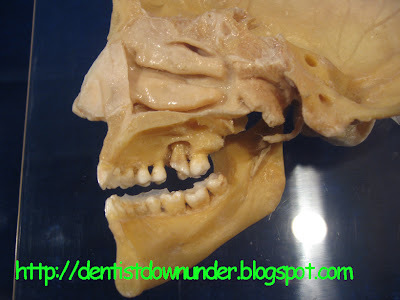 See how the germs from a simple tooth decay eats away the bone around the infected tooth? 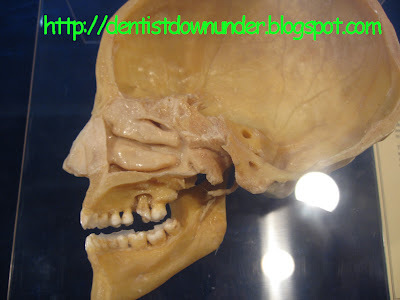 Can you see how close the root of that tooth is to the sinus? Can you see how, from the sinus, the germs can track into your brain? 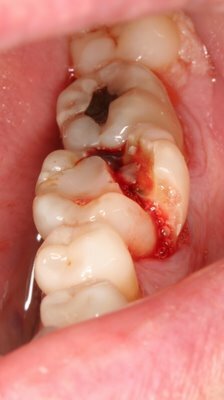 If you think your dentist was lying when he/she said you can die from tooth decay, I hope you change your mind now. You don't want to end up like this poor chap in a specimen display. 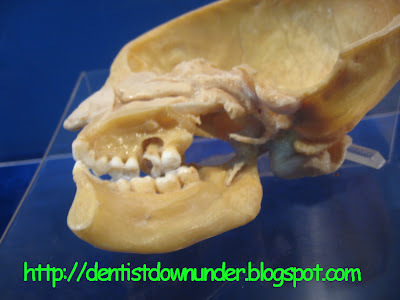 Any dentists reading this blog, if you want larger pics so you can print them out to scare your patients into maintaining optimum oral health please send me an email I'll gladly share them with you. I love using scare tactics.